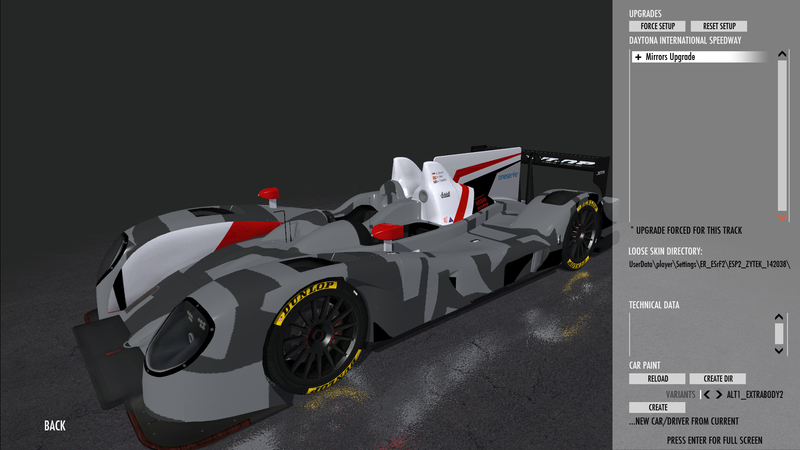 Hey guys, I've only been on rF2 since the end of June and your mod quickly became one of my favourites as you did a fantastic job on it. 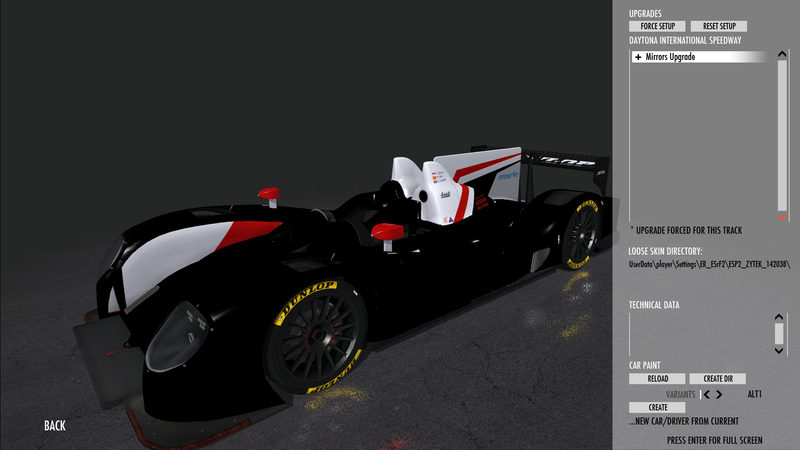 I've spent the last 10 years in NR2003 where importing your own liveries was beyond easy. I've sort of figured importing out for another mod but I can't figure out what is going wrong for this one. I paint on the body template, go to import and it is nothing even close to what it should be. Same with the extra body ones. Do I need to make a mas file out of all of them and then where does that file go? 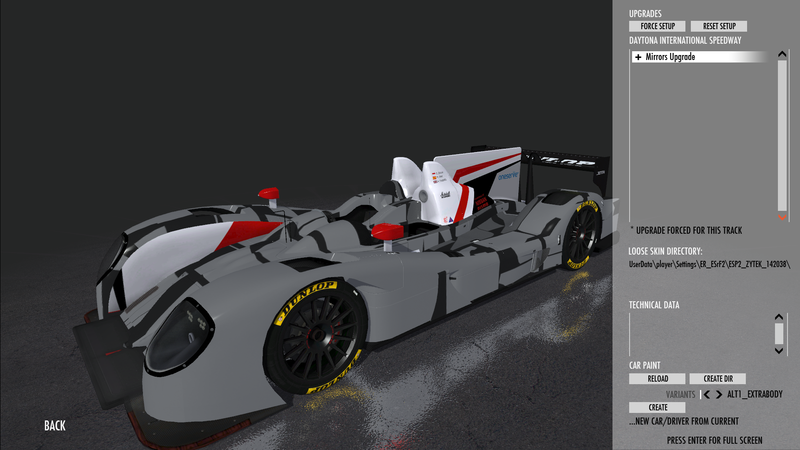 Right now I'm on the Zytek but will also be designing for the Ligier. I saved as a DDS file with mipmapping. Used the 2013-2014 template and am using a 2014 vehicle. Right now it's just supposed to be a white car with the Mach 5 "M" on the front and the "5" on the side. Any help would be much appreciated. Slight update, I've figured some of it out. This is what I see now. No idea what needs to be changed. I have all 3 body parts in there (and coloured white) and the windows. Still have a few issues, and the headlights are fully covered. Here's a link since the pictures are gigantic and didn't resize. Here's my saving process: flatten the image, export as dds with BC3 / DXT5 and generate mipmaps, combine it all into a mas file, put the mas file in the DIR folder.